To green or not to green? 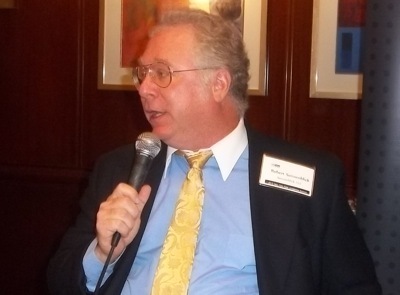 That was the question and a heated topic at the recent Bisnow Lodging Investment Summit. So we polled our readers to see what you really think about sustainability and if it matters in the hotel industry. NO: Guests want creature comforts. 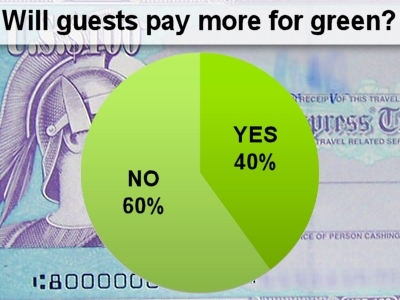 The majority says that guests are not willing to spend more to stay in a sustainable hotel. Scoffed one respondent: “I like having clean sheets and towels—the cleaner and fresher, the better.” Another replied that it’s more about cleanliness, comfort, noise, decor, bedbugs, odor, and the attitude of staff. Instead of bamboo sheets and recycled notepaper, they want courteous service and working TVs. YES: It saves money and brings resale value. Concord Hospitality Enterprises prez of architecture and design Tim Osiecki (which began building LEED in 2008 with Pittsburgh’s Settler’s Ridge Courtyard by Marriott) says the mere mention “causes a reflexive reach for wallets amidst protestations about ROI and guests who don’t care, don’t understand, and won’t pay for it.” (This coming from the same guests who pay $8 for coffee.) While Settler’s Ridge cost over $500k more to build, he said the annual savings exceeded the firm’s expectations. 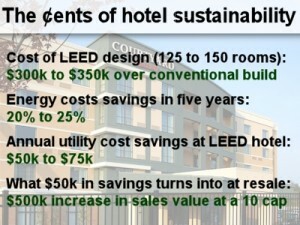 Today, the same custom LEED design would come in at less than $350k. Concord worked in tandem with Marriott to provide the design template for a LEED prototype; using it means developers can expedite the LEED design process, saving time and money. Here’s an idea of how Tim says Concord has been able to monetize sustainability. The firm now has a mandate to build all LEED, with $2M invested so far and another 18 hotels in its pipeline either under construction or in design, including the 182-room, $47M Cambria Suites in DC, a 196-room, $80M Cambria Suites in Midtown Manhattan, and a 258-room, $80M Hyatt House in Jersey City. NO: It’s a short-lived trend. Does it matter if guests are on board? The previously quoted owner-operator is still keen on sustainability “as it’s efficient to operate and therefore is a reasonable investment.” Another respondent says avoiding waste in laundry and toiletries lowers operating costs, too. (So stop stealing soap, everybody!) 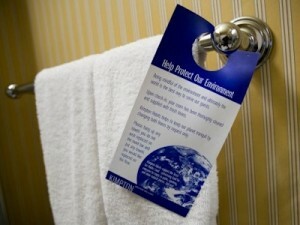 Kimpton is one brand well known for sustainability. In addition to its LEED Gold Hotel Palomar and LEED-certified Hotel Monaco (both in Philly), all of its hotels are Green Key certified. It uses non-toxic cleaners; serves organic and shade-grown coffee; offers special rate codes that give back to The Nature Conservancy and The Trust For Public Land; and has free or discounted parking for guests with hybrid or electric vehicles. You may remember we wrote about “The Mountain” being purchased in Utah by Summit, whose founder, Elliott Bisnow, helped start our publication, and whose business partner, Ryan Begelman, is our new Bisnow Media CEO. (Complicated, we know.) Anyway, here’s a cool story about it from Tuesday’s Morning Edition show on NPR. 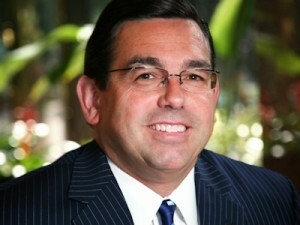 Go to Biz Now and Vote: 1) Is collecting resort fees a dirty practice? Bob Sonnenblick isn’t only vocal about sustainability. Here’s a practice that he calls “dirty” and “unconscionable”—resort fees, or mandatory daily surcharges imposed by hotels to cover the costs of certain amenities, like Internet access and pool (even if you don’t use them). The fees often aren’t disclosed in booking prices, leading to an unexpected, much more expensive hotel stay. He says he’d like to petition lawmakers to make the practice illegal. Do you agree, or are resort fees important for the hospitality biz? Tell us by clicking the survey above. What’s your favorite part about staying in a hotel? Tell amanda@bisnow.com.